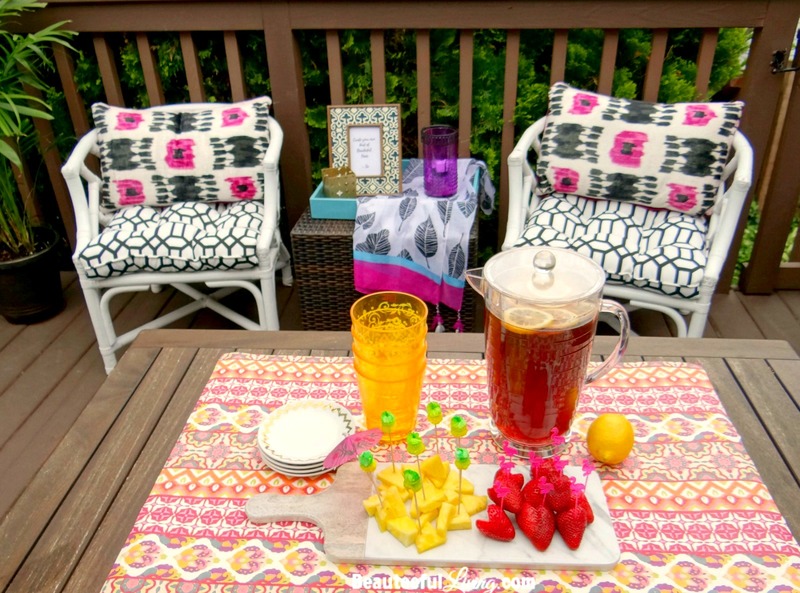 The space that I’m making over for this challenge is our upper patio deck. We’ve gotten quite a few rainy days the past week so my projects have been limited. Nevertheless, I’m thrilled that I was able to revamp the set of bamboo chairs that I bought at a flea market…almost 2 years ago. Yes, that long ago! The chairs only cost $14.00 together! My husband thought they were hideous but I knew they were going to come out fab with some paint and new cushions. Literally months after I bought these chairs, I started seeing them everywhere! Just like fashion, furniture styles come back in vogue years later. 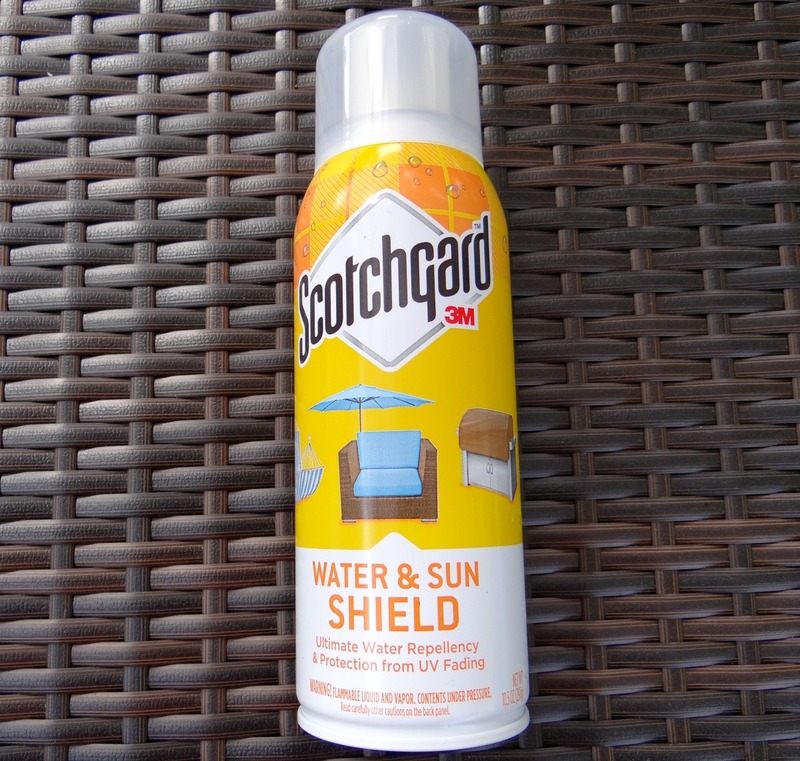 I also sprayed some Scotchgard water and sun shield spray (you can order here) to seal the chairs further. I’m in love with this new seat cushion that I bought from T.J. Maxx. Good thing it came in a set of two! At $29.00, this was a great buy! 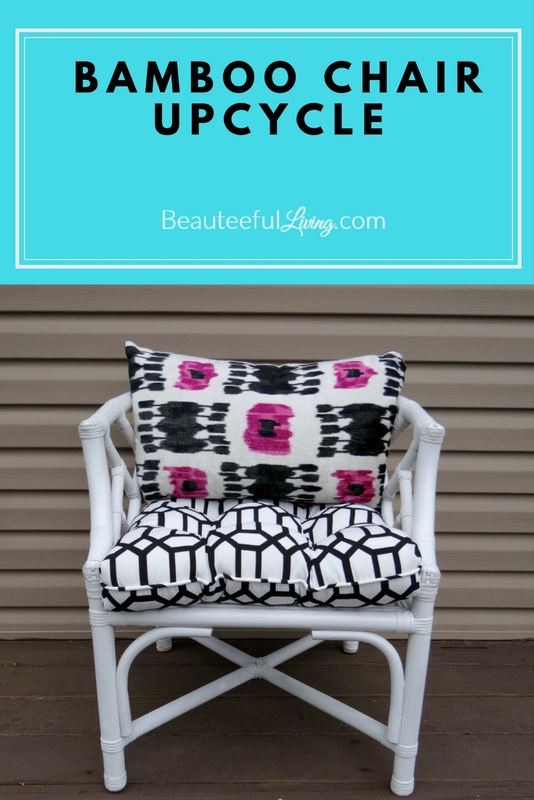 Remember that adorable Ikat pillow that I shared in last week’s post? 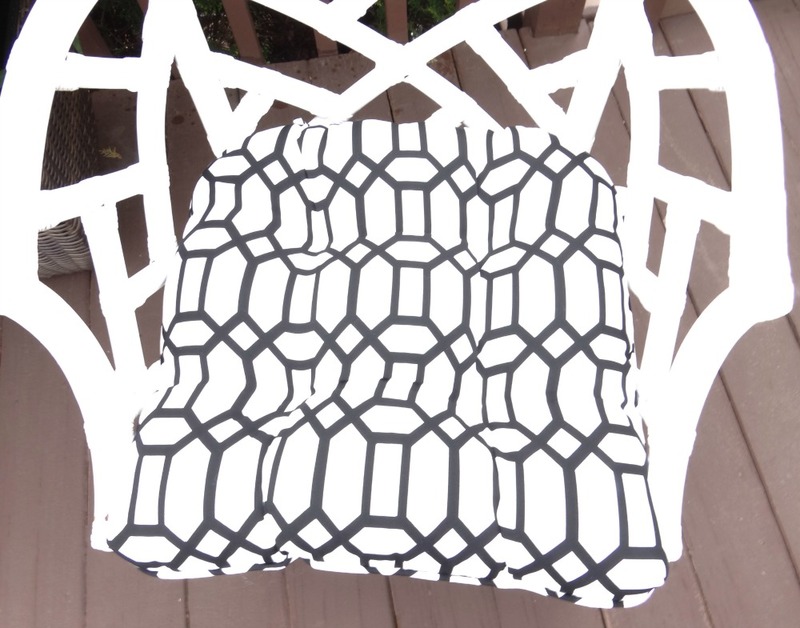 It seems to go perfectly with the black and white seat cushions! Like how this makeover turned out? Please PIN/Save/Share. Thanks! 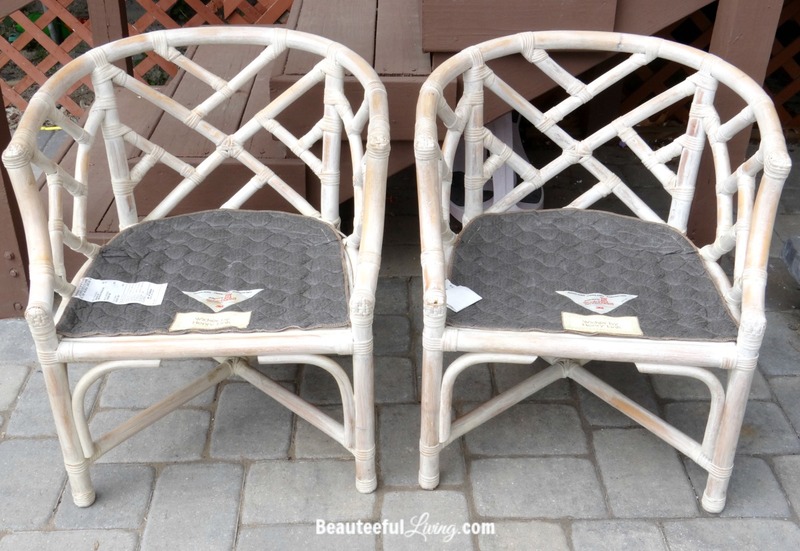 Look how amazing these chairs look together as a pair! 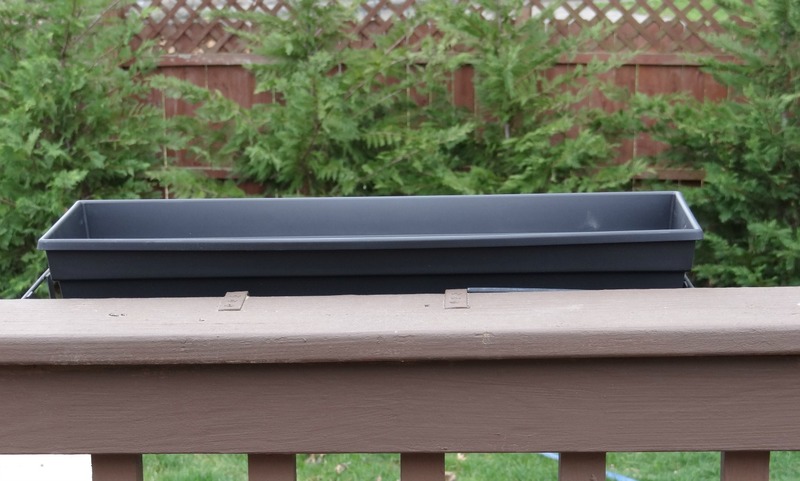 2) Black Planters – I bought four of these planters from Home Depot. Can’t wait to fill them with flowers! 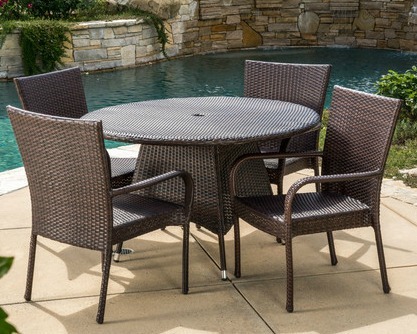 3) Outdoor Dining Set. I finally made up my mind on which dining set to get! I just ordered this from Wayfair the other day and the set should arrive next week. 2. Reinforce pergola nuts and bolts and spray paint any spots showing rust. wow! $14!! Score!! 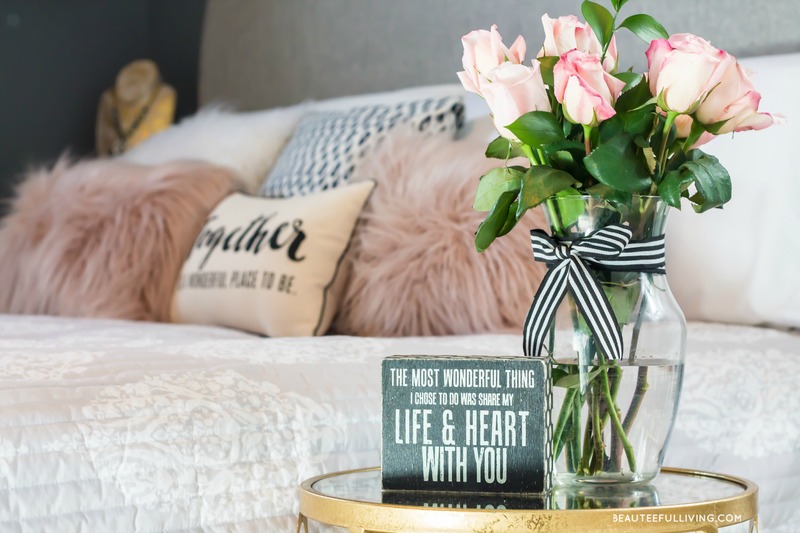 They are beautiful-love the cushions that you chose-I’m excited to see the final reveal. Your chair pic lured me from the one room challenge page. I absolutely love ti! 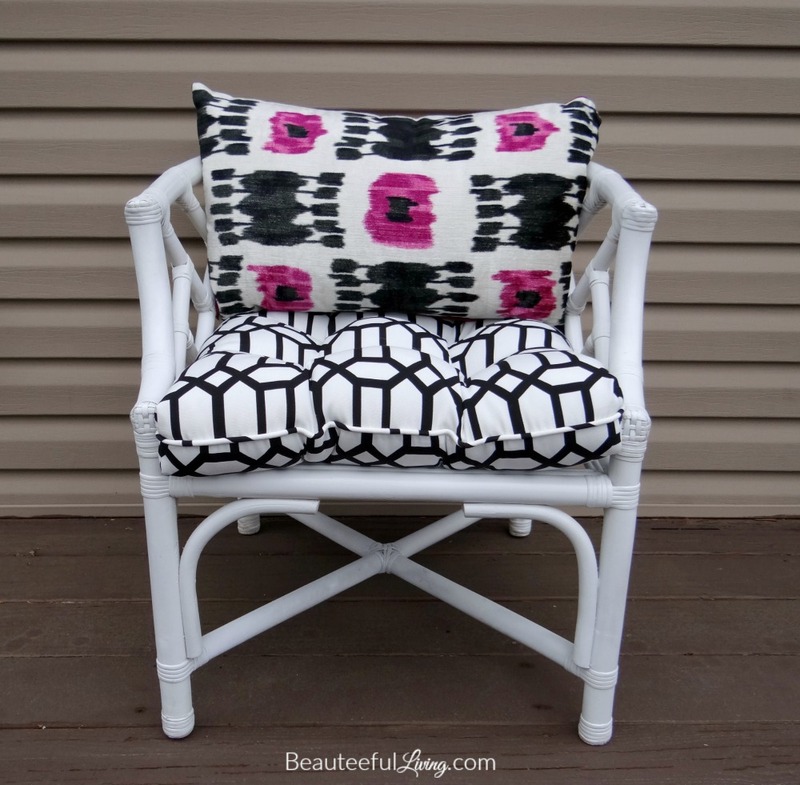 I recovered my bamboo chippendale chairs last summer and I love them but yours is over the top amazing! Thanks so much, Andrea! 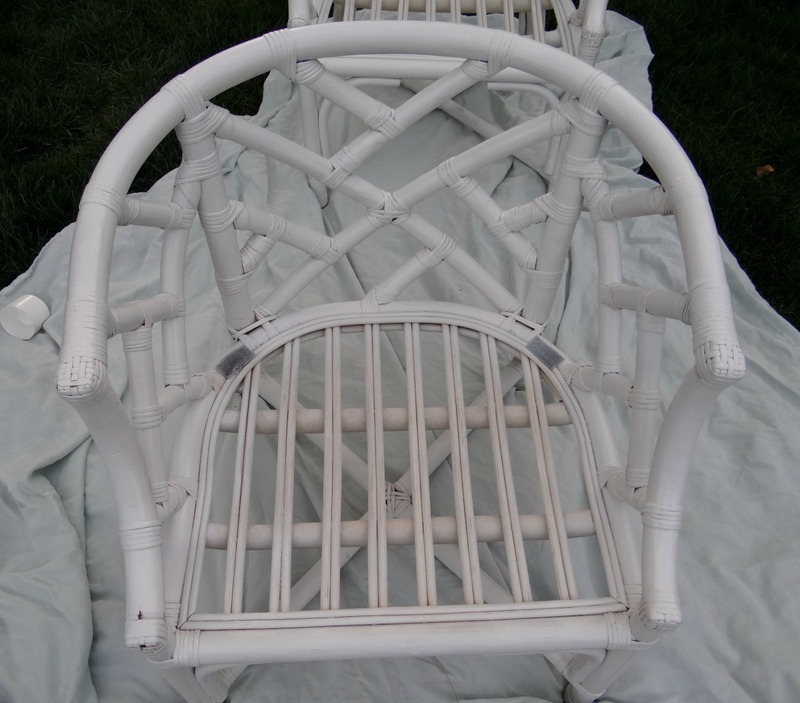 Your bamboo chippendale chairs sound wonderful. Bet they came out gorgeous! I can’t wait to see it!!! Those chairs are amazing! Oh man, that’s a great makeover! And for $14 you couldn’t go wrong! Great work, Tee! I love what you did with these chairs and the pillows are beautiful! what a score and flip! they look amazing! I love the look! You are so talented! What a great price for the chairs! Love the cushions you chose. Those chairs look great! Love the dining set you chose! 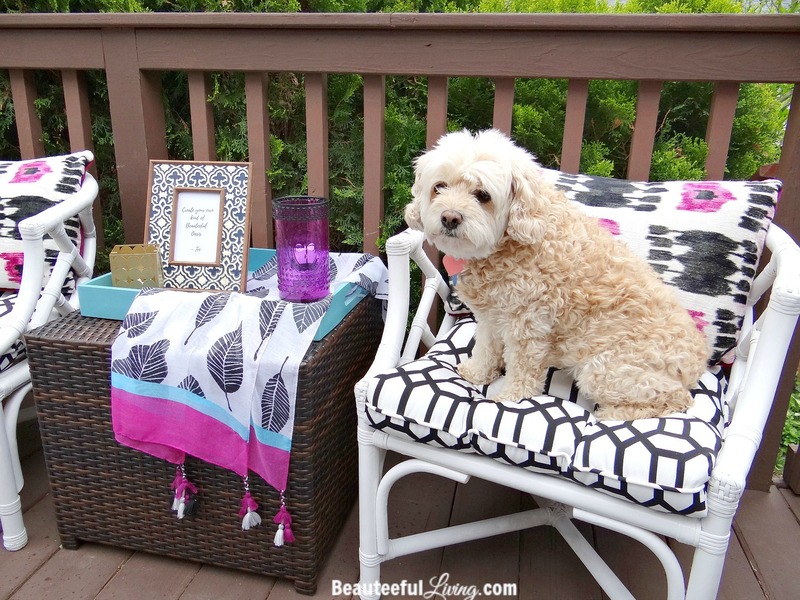 Your outdoor space is coming along! Thanks so much, Emy. Thanks good to know about the material! LOOVE the bamboo chairs. 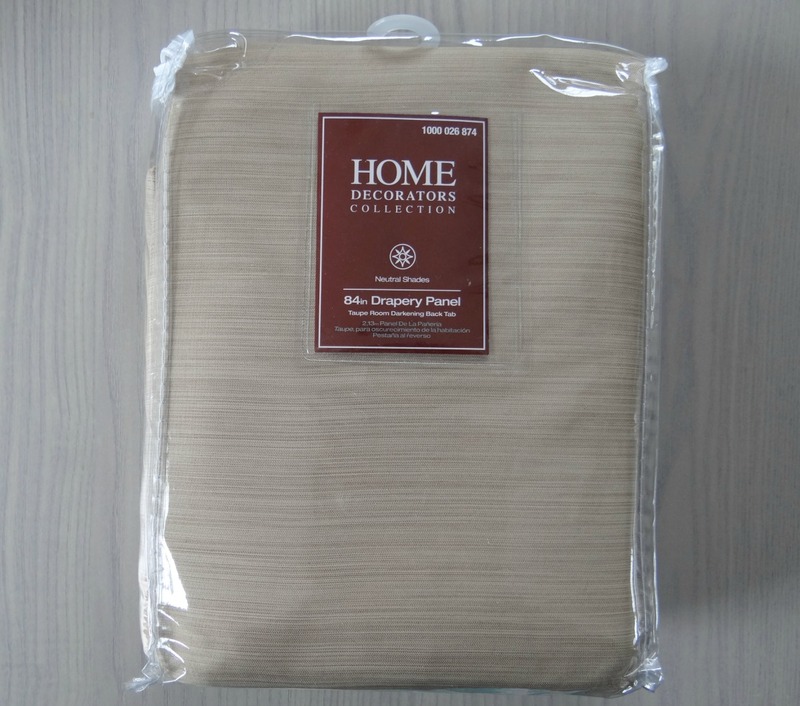 And the cushion + pillow combination is perfect! Thanks so much! Yes, glad I painted them white! You got a steal!! Love them! !